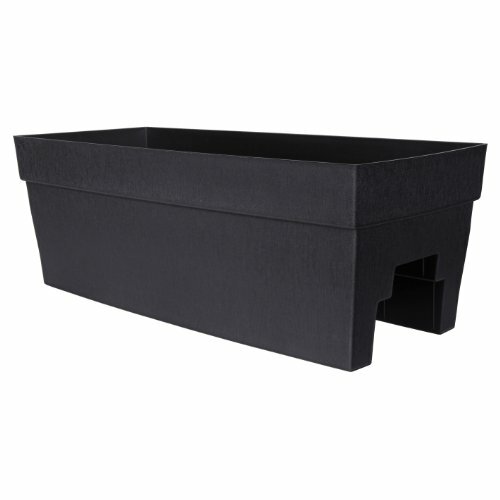 This harmony rail planter is self-watering and has overflow protection. The unique textured vertical finish allows the planter to look good in any decor. Holds approximately 6.2 gallon. Measures 27-inch length by 9-1/2-inch height by 11-3/4-inch depth; available in black color. The planter fits on a 2-inch by 4-inch or a 2-inch by 6-inch rail.